Thanks to everyone who came along to the opening of the ‘Still Emerging’ exhibition on Wednesday night, 9 September, at the Seaview Gallery and for helping to make it such a successful evening. The exhibition will be open tomorrow, Saturday 12 September from 11am – 5pm and I will be in the gallery from 11am to 1pm so please drop in to say hello. The gallery will also be open from 11am – 5pm on Sunday, 13 September, and this is the final day so will be your last opportunity to have a look at all the really interesting and diverse work on display. 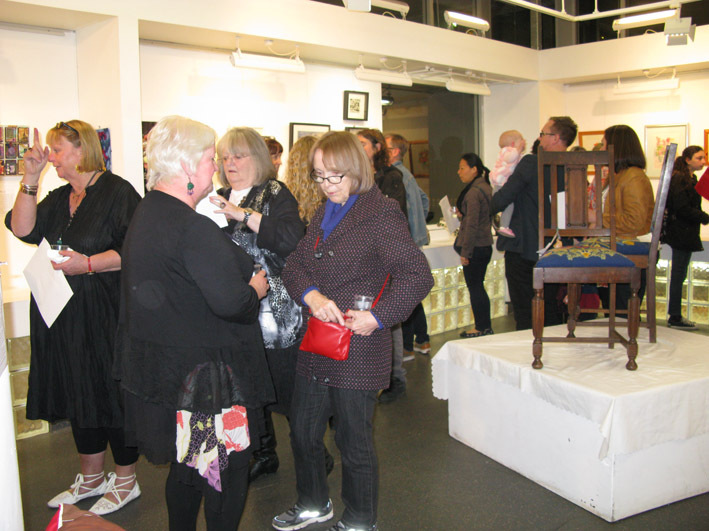 Some of the good crowd who came along for the opening night. 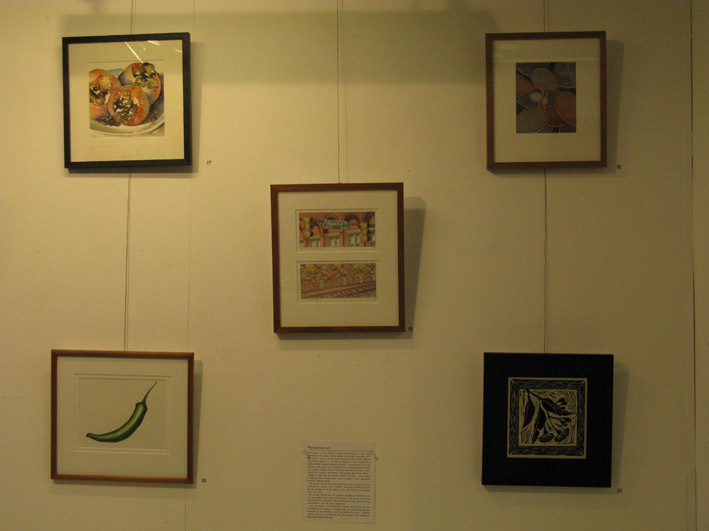 My 4 watercolours and a linocut as displayed on the gallery wall. 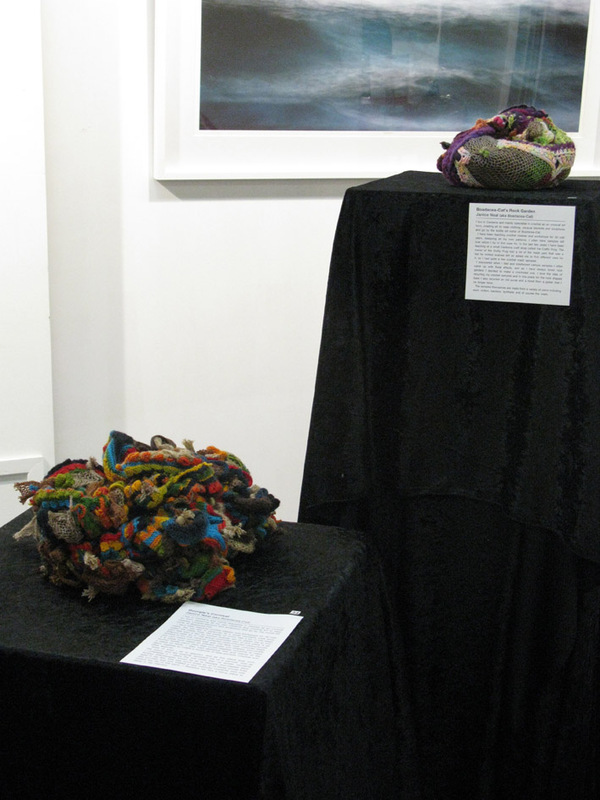 My sister, Janice Neal’s amazing 3-D abstract crochet sculptures she has in the show. 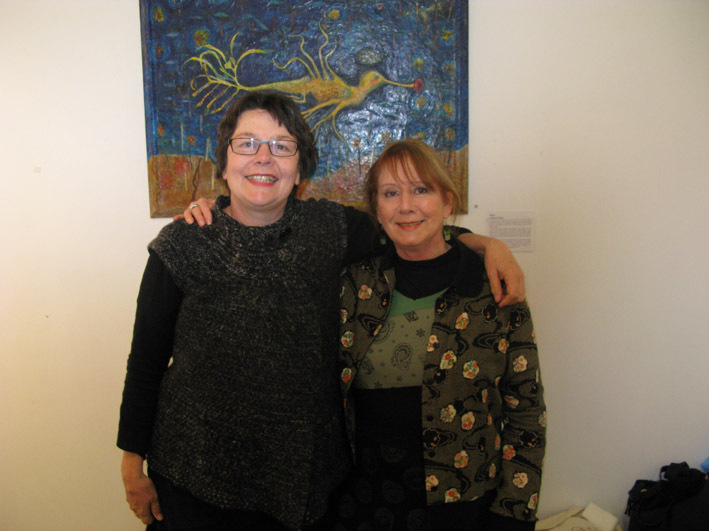 Myself and my old friend and wonderful artist, Margaret Carey, standing in front of Margaret’s beautiful encaustic work in the exhibition. THIS SUNDAY, 13 SEPTEMBER 2015. This joint exhibition with my cousin and Central Coast artist, Tracey Scheitel has been inspired by the theme of water – Liquid Life – in our daily lives and all around us and includes watercolours, acrylics, pencil drawings, linocuts and mixed media. The exhibition will be showing on Saturday 12 September from 2pm (till restaurant closes in the evening), and from 9 – 4pm on Sunday 13 September. Shorethyme Restaurant & Gallery, 4396 4507. 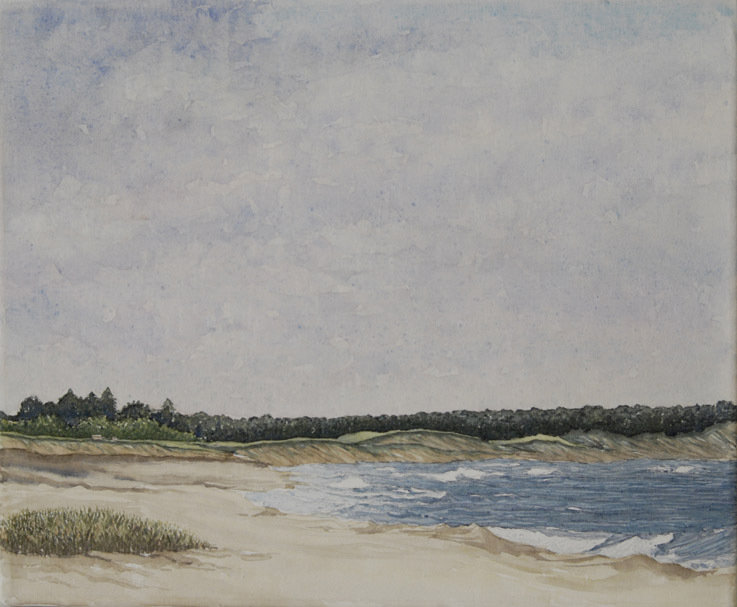 This view of Lakes Beach is one of the works I have showing in this exhibition. 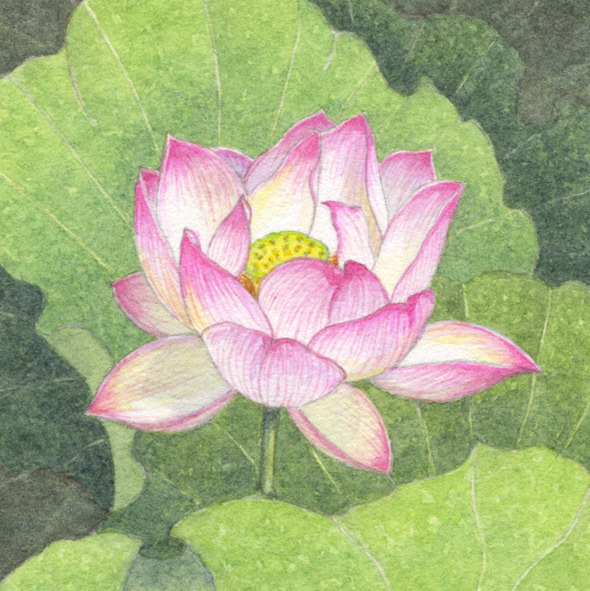 My 50mm x 50mm watercolour painting of a lotus flower on show in this exhibition.